Chris is a partner and is head of our formidable team of real estate litigation (Chambers, 2019). Chris has extensive experience in the full range of property disputes. Chris’ expertise includes working with national property developers and he has a particular specialism in acting for national housebuilder clients. He also specialises in professional negligence claims relating to the property industry. Chris joined Clarke Willmott in 1992, after working first at major city of London firms, and has been a Partner since 1995. Chris has been appointed as a deputy district judge, is recommended in both Legal 500 and Chambers and is a member of the Property Litigation Association. Chris acts for and advises a number of national housebuilder clients on a full range of property issues that affect the sector, including development and consortium agreements, options, overage disputes, rights of way, rights of light and valuation disputes. Recent experience includes acting for a national house builder client on a multi million overage dispute. Advising landowner clients on a multi million claim for damages against solicitors relating to errors in a long lease of commercial premises. Advising private landowner clients on claim for specific performance of £20m contract for the sale of development land. 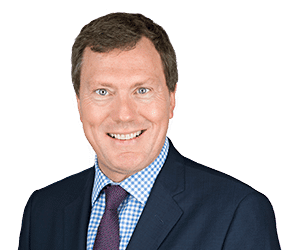 Chris has acted for clients on cases that have been determined in the courts at all levels in this country, up to the House of Lords, and also in the European Court of Justice.